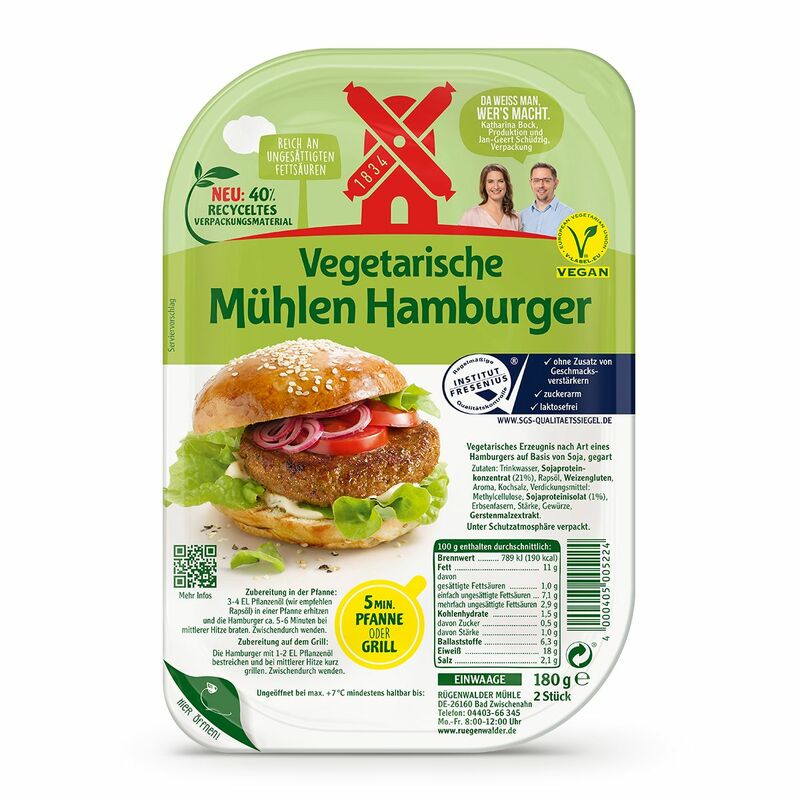 For all those who love the taste of meat but do not want to eat so much of it, there are our delicious meat free alternatives. 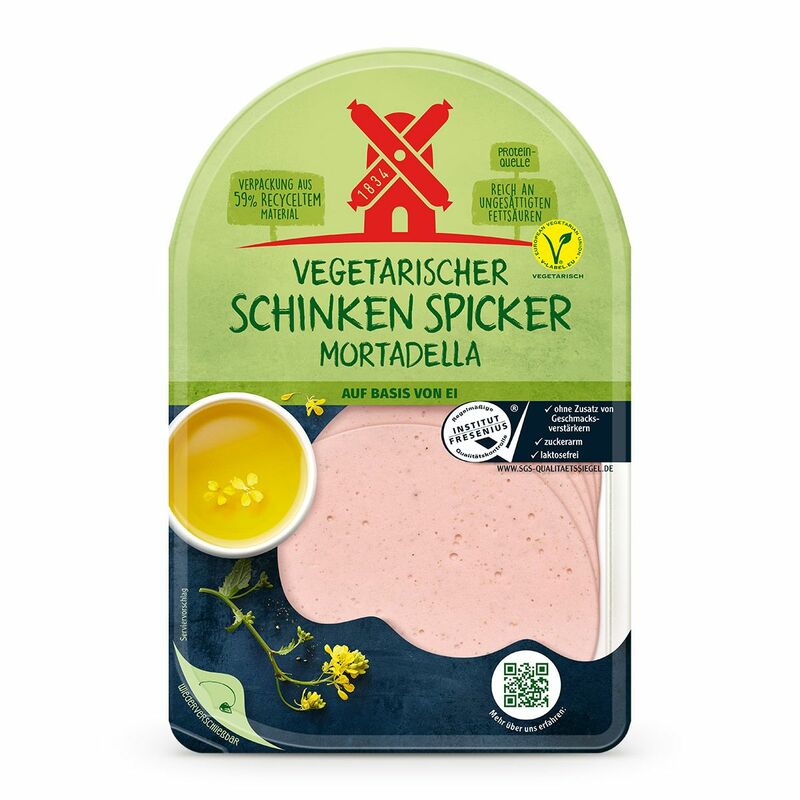 Whether salami or liver sausage, escalope or bratwurst, meatballs or mincemeat. 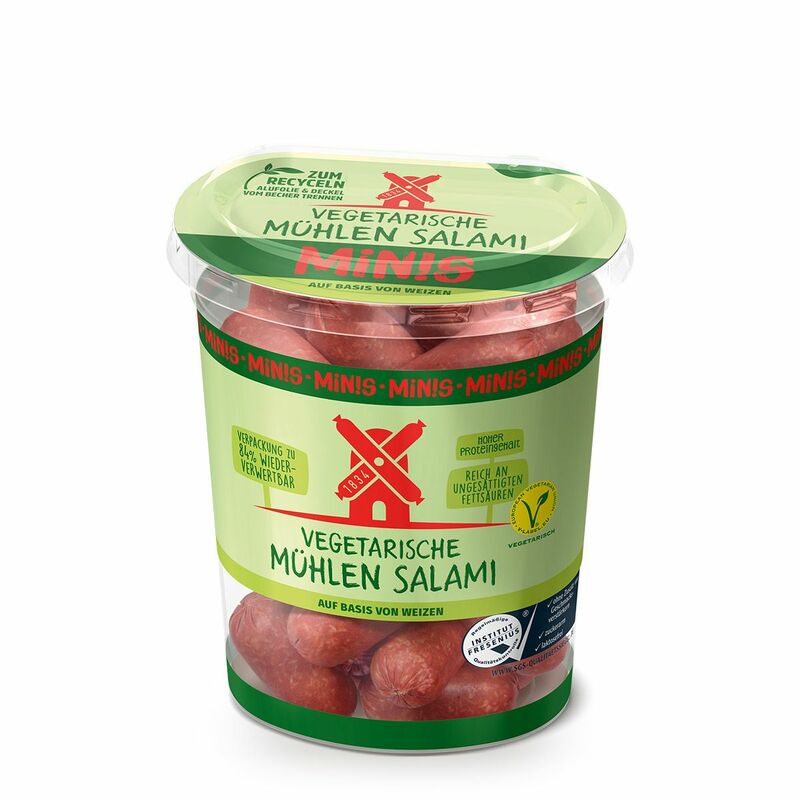 All without adding flavour enhancers, low in sugar and lactose free; controlled by the SGS INSTITUTE FRESENIUS. 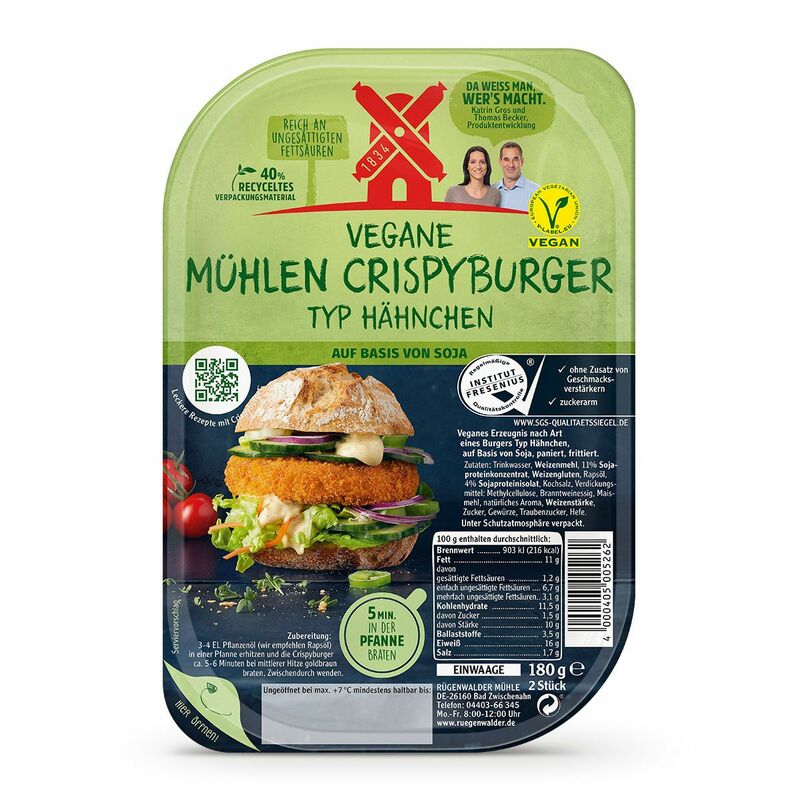 Instead of meat we use soya, wheat, peas or eggs from free-range husbandry and instead of bacon rapeseed oil with many good omega-3 fatty acids. 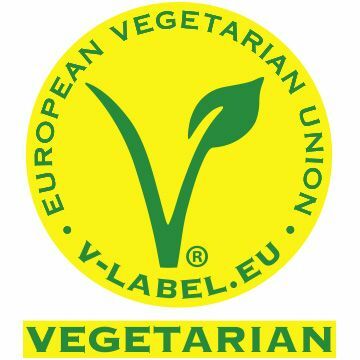 In the course of the development of our meat free products, we have consulted the ProVeg in many specific questions; especially when it comes to replacing ingredients of animal origin by vegetable alternatives. 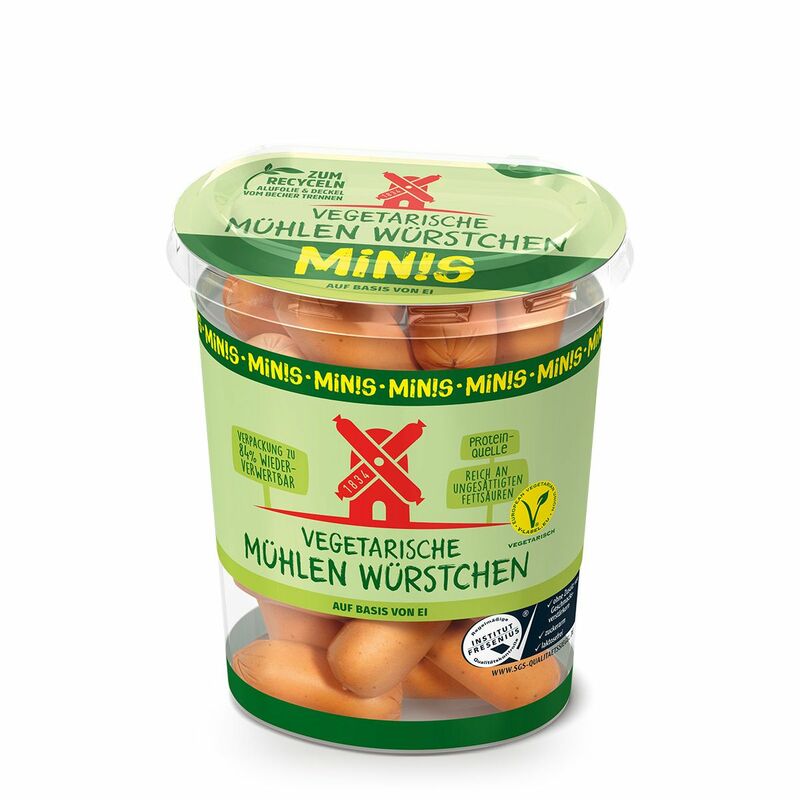 Also for the future, we are focusing on constructive exchange to further improve our products. 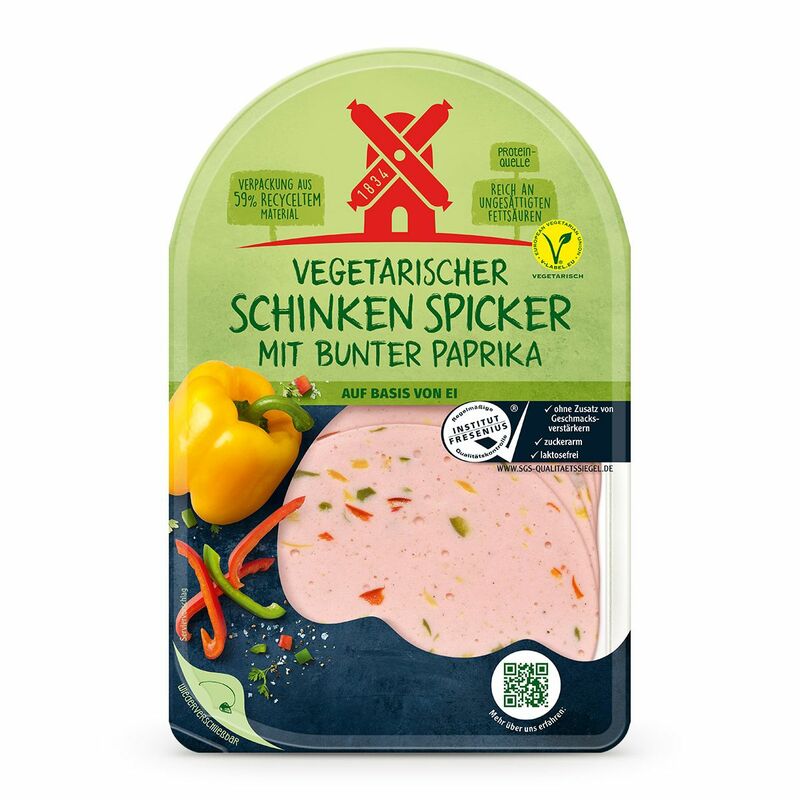 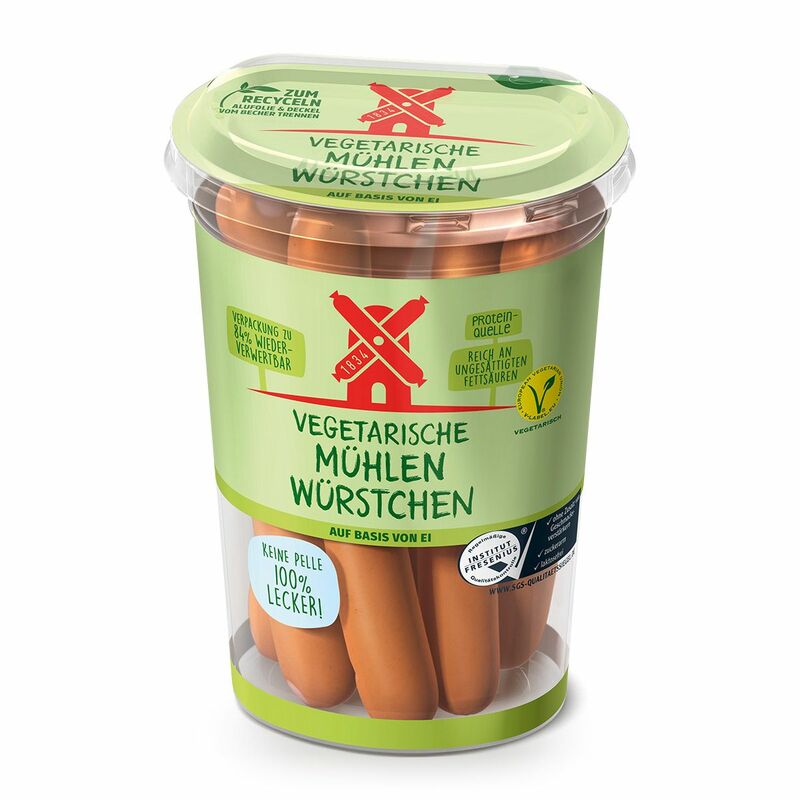 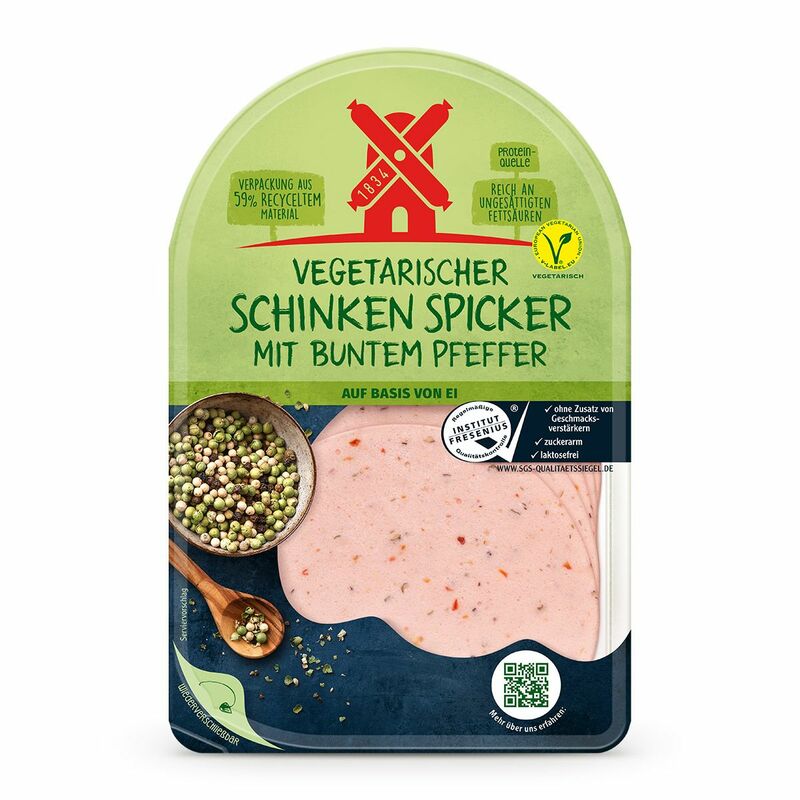 All vegetarian products of Rügenwalder Mühle are labelled with the European V-label. 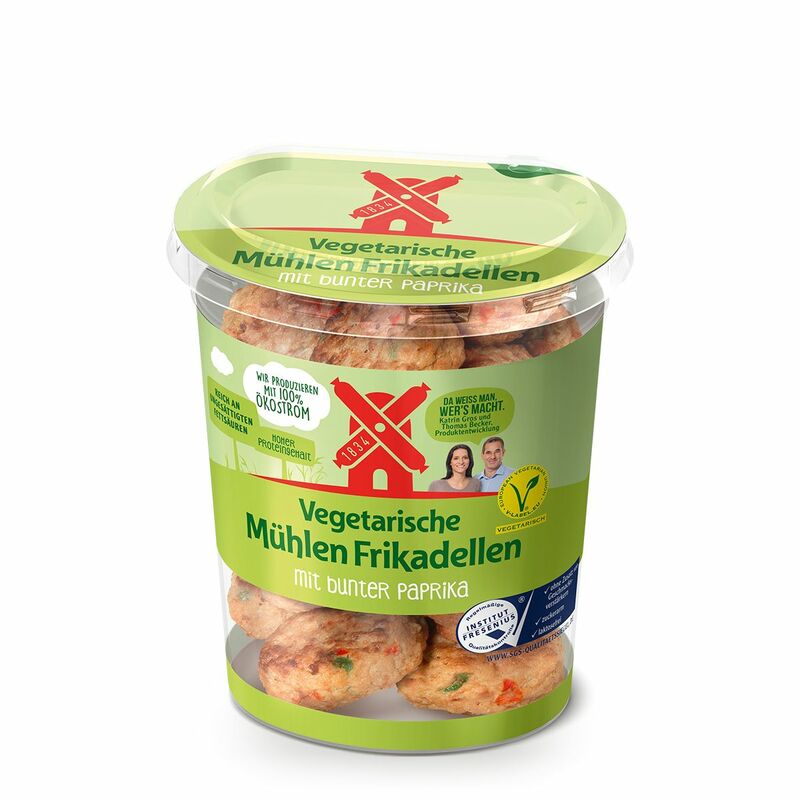 It allows safe and comfortable selection of vegetarian foods without having to study the ingredient list.